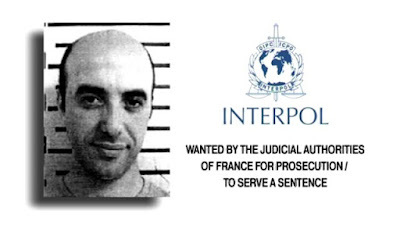 Convicted gangster Rédoine Faïd was spotted by cops near Paris. He fled the scene and abandoned a car with plastic explosives and fake license plates in a car park. 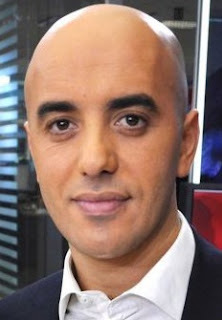 On 1 July Faïd, 46, broke out of a prison with the help of armed accomplices who hijacked a helicopter. The Jailbird King, as he is dubbed by French media, was serving a 25-year sentence for a failed 2010 robbery during which a police officer was killed. This is the first sighting of the convict since his escape, despite some 2,900 police officers joining a national manhunt. 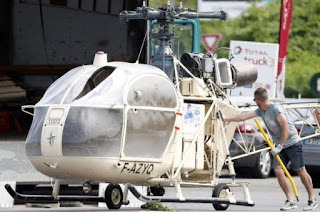 The escape helicopter was found in Gonesse, north of Paris. 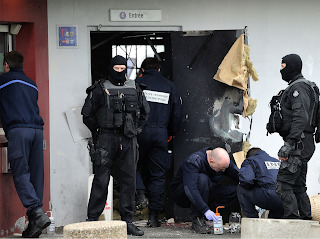 France's Justice Minister called it "a spectacular escape. It was an extremely well-prepared commando unit that may have used drones to survey the area beforehand." 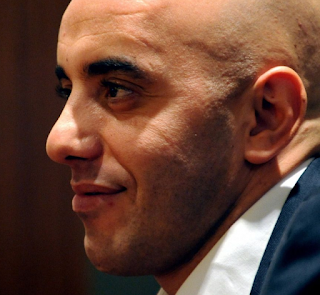 This is Faïd's second prison break: in 2013, he escaped after seizing four guards as human shields and blowing several doors off with dynamite.